The purpose of these pages is to share my love of all things vintage, and in particular my passion for vintage and antique mannequins. I just adore vintage manneqins! They are all so different and unique. From the wasp waisted mannequins of the 1800s through to the more realistically shaped mannequins of the 40s and 50s, each one has it's own individual personality. They are a window to a time gone by and give us glipses into the lifestyles of the women who lived before us. 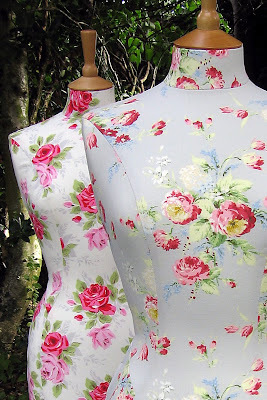 It will also give me a place to share news and updates relating to http://www.vintagestylemannequins.co.uk/, my website, where I sell hand covered, vintage inspired, female and child mannequins. 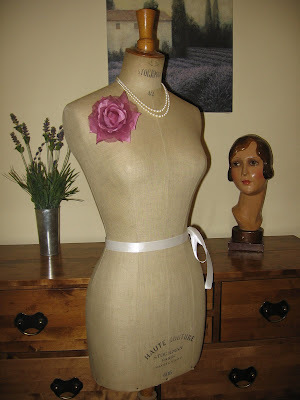 A wonderful vintage French Stockman mannequin, displayed with a 1920s Art Deco plaster display head. 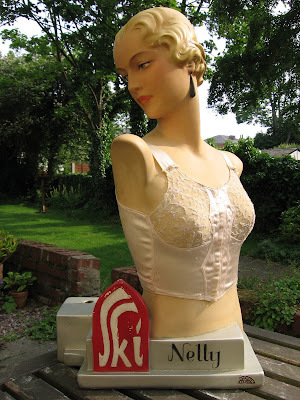 Beautiful 1930s plaster, counter top display mannequin.